Detailed plans have been revealed for a "cutting-edge" leisure centre at the heart of the proposed £200m Wellness and Life Science Village at Delta Lakes in Llanelli. 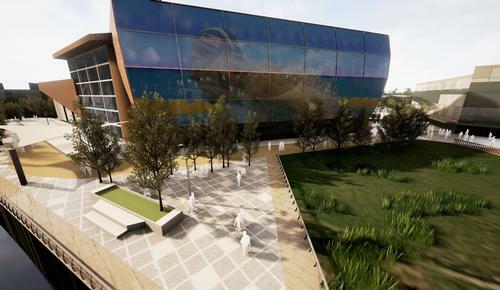 Located within the development's wellness hub, the leisure centre will house an aquatic centre with a 25m long swimming pool, splash pool and learner pool. 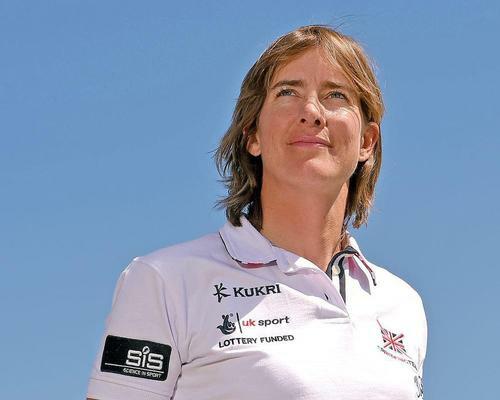 There is also a proposal to include "world class" diving facilities at the site, which would be able to host international competitions as well as become a training base for Welsh divers. Other facilities will include a large health club, a multi-purpose sports hall with a range of indoor courts and a ‘clip and climb’ zone including climbing walls, frames and platforms. The ambitious Wellness and Life Science Village project – described as one of the first developments of its kind in the world – is being led by Carmarthenshire County Council, in partnership with Swansea University and Sterling Health. Supported by the Hywel Dda and Abertawe Bro Morgannwg University Health Boards, the Village is due to be part-funded by the £1.3bn Swansea Bay City Deal – a major investment in 11 transformational projects across South West Wales. As well as the leisure centre, the project will include a wellness hotel, sports facilities, a wellness spa, a primary care centre and landscaped spaces for walking and cycling, as well as a children’s play area and spaces for outdoor performing arts. 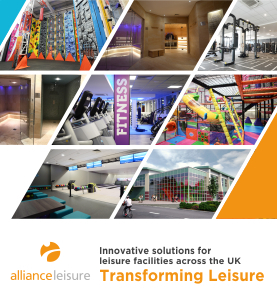 “The leisure centre, at the development’s Wellness Hub, will enable closer links than ever before between leisure services and healthcare specialists, life science research professionals and wellness experts who will be located on the same site," said councillor Emlyn Dole, leader of Carmarthenshire County Council. A gateway to all Village services, the Wellness Hub will also include a digital customer service area, a healthy food court, and spaces for community activities. The Wellness Hub and Community Health Hub elements of the Village are anticipated to be operational in 2021, with overall project completion earmarked for 2023. An outline planning application for the development will be considered for approval in coming months, with construction on site due to start in 2019.